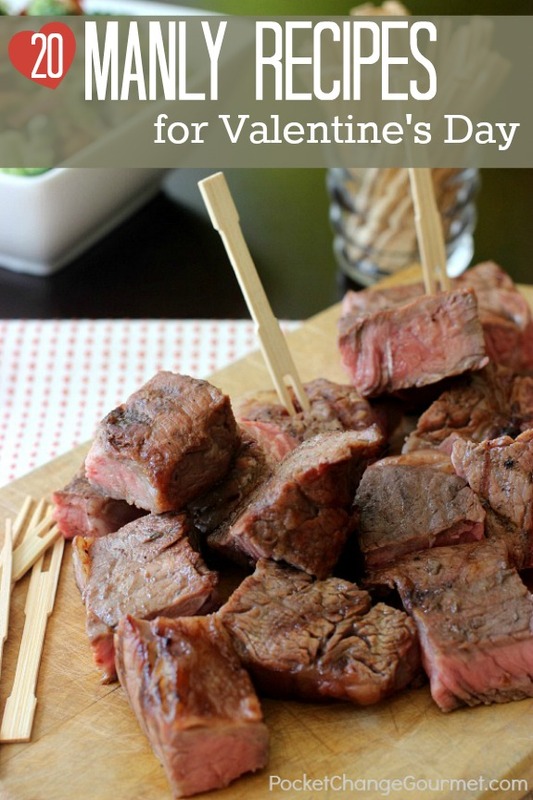 What are you serving for Valentine’s Day? Do you make a special breakfast? Maybe a lunch for your little ones? Or a special dinner for your sweetie? If you answered Yes to any of those, you are in the right spot. 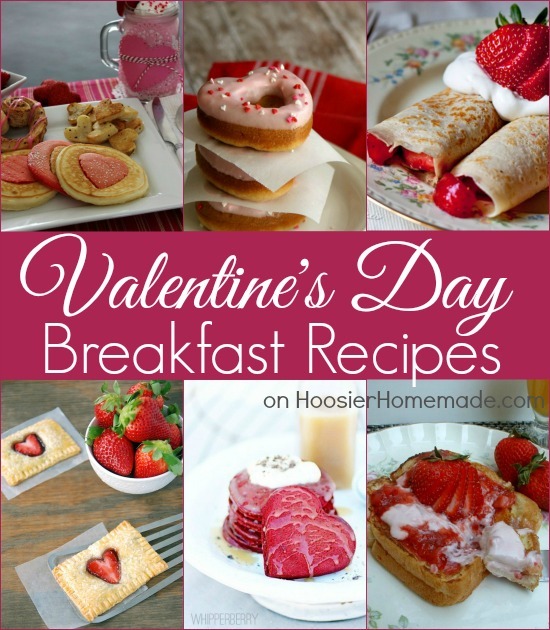 Maybe heart shaped pancakes, sandwich or a special steak for dinner? 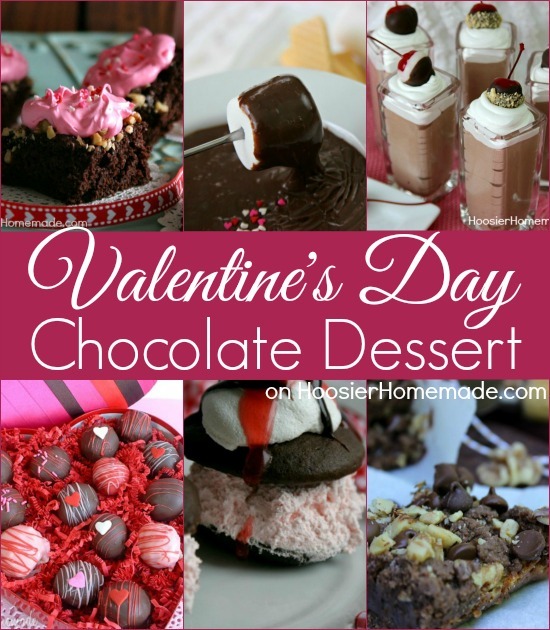 And we can’t forget about the delicious Chocolate Brownies or Cherry Fudge for Dessert! 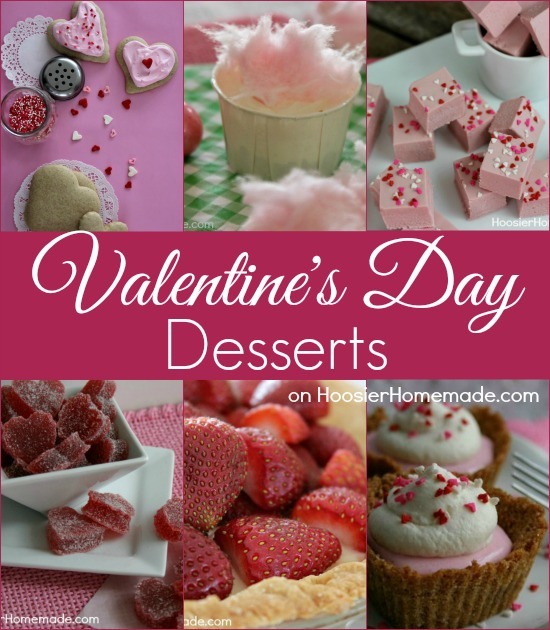 Here are some of my favorite Valentine’s Day Food Ideas for you! Looking for something special to make for your Man? We have 20 mouthwatering manly recipes for you to choose from! 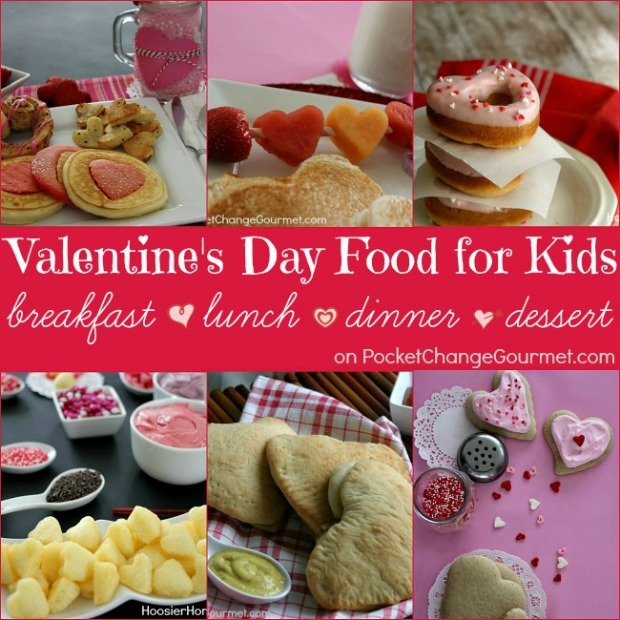 How about a fun Kid Friendly Valentine’s Recipe? We have Breakfast, Lunch, Dinner and Dessert for you! Thanks so much Melissa! Valentine’s Day is one of my favorite holidays! 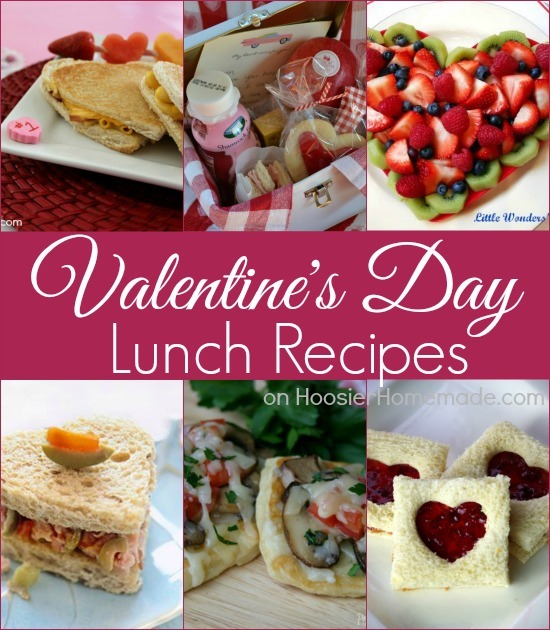 Thank you so much for including my peanut butter and jelly sandwiches in this great collection of Valentine food ideas! You are welcome Jodi, they are really cute and I’m sure tasty too! So fun! 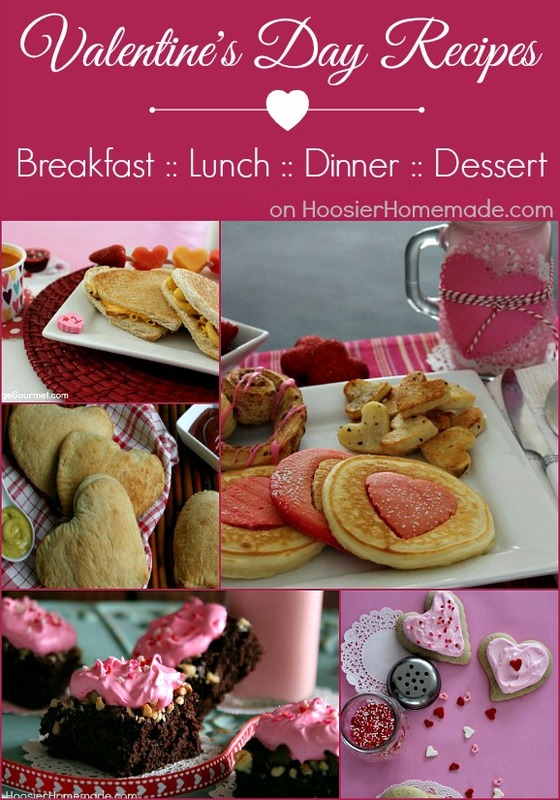 Great idea to have love food all day long. Thanks for the link love!. These are all such great ideas, it’s hard to pick just the ones I need. Guess I’ll have to bookmark this pretty post. Thanks, Liz. 🙂 Our oldest specifically requested those heart pancakes for breakfast. Guess Mama better set the alarm!